Album Giveaway – Am Yisroel! UPDATE: There was something wrong with the site, preventing comments from posting correctly. This has now been fixed, so comment away! We’re excited to announce a new album giveaway, in conjunction with Rabbi Nachman Seltzer and the Shira Chadasha Boys Choir, of their new, about to be released album, Am Yisroel! Following their previous 4 amazing albums – Achakeh Lo, Areivim Ze Lazeh, The Chanukah Album, and their most recent album, Al HaTorah, Am Yisroel is sure to be a hit! It’s very simple – follow the instructions below to enter, and you could win a FREE copy of the brand new Am Yisroel album right when it comes out! The album should be in stores this week, so the giveaway won’t last long. We’ll be giving away multiple copies of the album, depending on how many entries we get, and you can enter with all 3 methods (though you can only win one copy of the album). 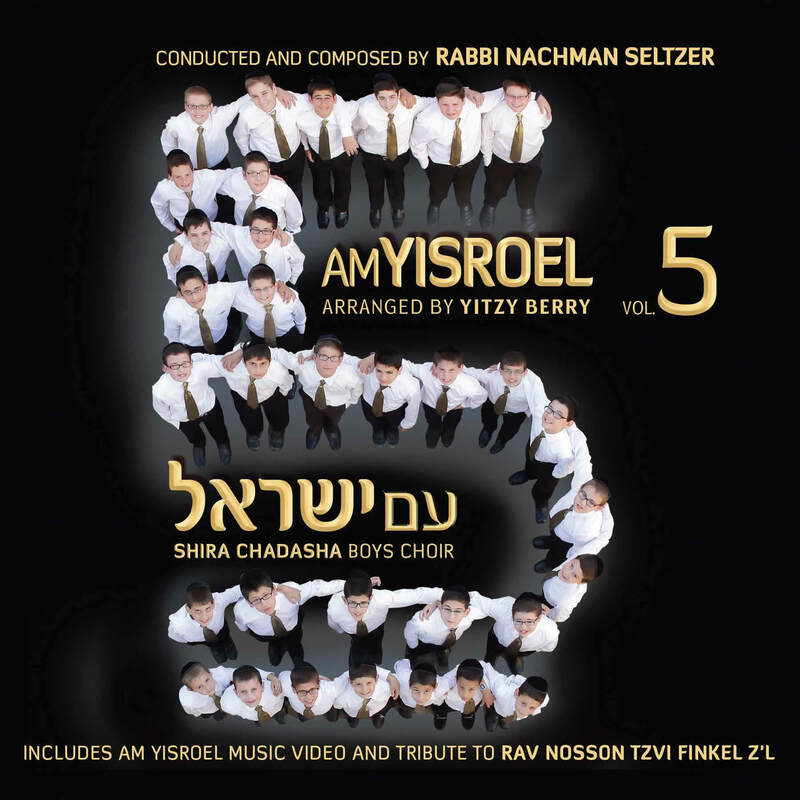 Listen to the new Am Yisroel sampler using this link, and let us know which is your favorite Shira Chadasha Boys Choir song, from the new album or from the previous albums, using one of the methods below. You can see a list of all the Shira Chadasha songs here – there have been many big hits, including many sure to be favorites on the new album, so the decision isn’t so easy! Then, you’ll tell us your favorite song via Facebook, Twitter, or by commenting on this post. Like the Shira Chadasha Boys Choir and the JewishMusic Stream pages on Facebook. Follow the Shira Chadasha Boys Choir and the JewishMusic Stream on Twitter. The winners will be picked and announced at the end of this week, right before the album is officially released and available in stores, so make sure to enter soon, and stay tuned for more information and announcements about the album, and future giveaways! all songs bring back memories of growing up. thank you for the reminder. I always enjoy the music on Jewish music stream, THANK YOU!!!! It really adds a lot excitement to the house. My favorite Shira Chadasha Boys Choir song is: Torah Tziva #Am Yisroel!